This project has received funding from the European Union's. 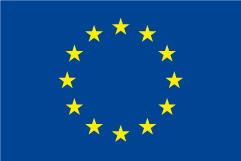 Horizon 2020 research and innovation programme under the Marie Skłodowska-Curie grant agreement No 645595. (9 Beneficiaries and 6 Partner organizations). BeFOre project seminars on Biodiversity, Organoleptic and biochemical characterizing of Olive and Olive Oil.